2018 AFL Grand Final: Is Your House Ready For The Finals? Written by Joyce TicsayPublished September 25, 2018 October 1, 2018 Discussion Leave a Comment on 2018 AFL Grand Final: Is Your House Ready For The Finals? After the 2015 Grand Final loss against Hawthorn, the West Coast Eagles finally took the winning stance against Melbourne last Saturday. The Eagles take on Collingwood on Saturday in Perth Stadium. Are you excited to witness who’ll win Saturday’s AFL final? 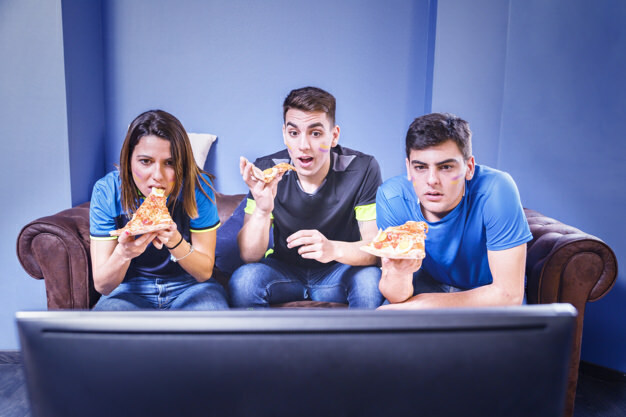 Watching your favourite team play live doubles up the fun, but on-screen viewing can also be a fun time! While others are busy securing tickets, you can also make preparations at home to enjoy watching the game with your friends and family. 1. Make your viewing experience memorable. Is your TV entertainment ready? It’s high time to update your Home Theatre system as Aussie rules football is one of the grandest events that we love. You don’t have to wait for a perfect moment before you take time to invest in home theatre upgrades. Are the audio-visual features enough to satisfy your viewing experience? Is there a need to add smart lighting in the room so you can easily adjust the effect depending on your preference? Likewise if you want to be up to date with the latest technology, a smart control device is a great addition to work your speakers, stereo and TV using one remote. You can ask a professional installer to set up the necessary equipment to make the job easier and more convenient. Connecting your mobile or tablet to your home theatre is also a good idea to watch it using a bigger screen. 2. Check your AC for maintenance. Conditioning your AC before the game is one way to add comfort when watching the AFL Grand Final. You don’t want to miss out on key points of the game by attending to your air conditioning. Having your AC regularly serviced especially this Spring can help to extend its lifespan and reduce your energy bills. Do you need to dust off and clean the filters? Is the AC not working normally? As the temperature begins to rise in these days, it’s best to establish some maintenance procedures to help guarantee its good condition when it’s time for AFL viewing. A comprehensive check-up can also prevent untimely, costly repairs. It simply tells you to prioritise regular upkeep. 3. Have your plumbing ready before the match. Plumbing issues such as clogged drains and pipe leaks can happen any minute of the day. It could be worse if your toilet or sink acts up in the middle of the game. Before you experience a blockage, make sure to clear the drain and remove unnecessary scraps or residues that may cause potential clogs within the pipes. For increased guarantee and safety, calling a professional plumbing service is the ideal tactic to complete the job. It’s also good to check your bathroom, laundry and outdoor plumbing to ensure that nothing misses out the needed inspection and repairs. Sitting on a soft and durable sofa contributes to increasing your comfort levels. Covering it can save it from dirt and grime build-up. Doing so also helps to prevent your upholstery from acquiring extensive rips or damage when the score results begin to shake things up and test your patience. In the heat of the moment, all sorts of drinks and snacks could be spilled on your sofa. Not only will it leave stains but it’ll also attract unwanted pests – not good if you have kids and pets, or both! It’s good to schedule an upholstery restoration or repair service if you happen to stain your upholstered furniture with spilled drinks and food. Make sure to plan in advance to prepare for the worse and make it look improved and fit for use. 5. Bet on your team. It doesn’t always mean that money is involved. You can agree among your house members who will clean up the mess when one’s team losses. Not only does it lessen the house chores but also speeds up the process and makes the entire job less tiring. Aside from anticipating who dominates this season’s AFL Grand Final, doing things around your home might also be a cool idea to end your September. Don’t forget to have your wirings and circuits checked to avoid interruption. Whether it’s for the Eagles or Magpies, it doesn’t matter. Just make sure to have your house ready for the big game and have fun cheering for your team with less disruption!